Multi Instrumentalist, band leader, producer, arranger, performer, author, and on and on, Craig Duncan is one talented and gifted musician. He's a member of the North American Fiddler's Hall of Fame and recorded and released more than 80 albums/cds which have sold over 5,000,000 copies. He leads multiple bands, all specific to various acoustic genres including jazz, cajun, celtic, country, bluegrass, and more. The Craig Duncan Orchestra is 11 piece. He has recorded for Randy Travis, Billy Dean, Kathy Mattea, Charlie McCoy and Roy Clark and worked on over 100 television shows with Porter Wagoner. His music has been heard on The Oprah Winfrey Show, as well as on programs on A&E, Biography, BET, PBS, History and other cable channels. I first met Craig in the early '90s when he was recording at Al Jolson's Masterlink Studio and when I caught up with him almost 20 years later for this interview, he was recording with Bil VornDick just like he was when we first met. The music they were mixing sounded awesome coming out of the speakers just like it did at our first meeting. A great guy, an incredible musician, and a true gentleman, meet Craig Duncan. Craig Duncan: Burlington, NC, went to school at Appalachian State University in Boone, NC and while I was there I started playing lots of fiddle. I was studying violin in college and playing fiddle for a living. Bronson: So who influenced you, what got you started to play? Craig Duncan: My parents loved music so when I was 8 years old mom wanted me to take piano lessons. Probably like many people of our era, our parents didn't have the opportunity so they wanted to give it to us. The funny thing about the piano deal was, probably 2 or 3 weeks before she asked me that there was a string program, you know, violin, viola, cello, upright bass, string program in our public school. There was a man teaching it, he had just made a presentation of that, so when my mother said she wanted me to take piano lessons, I said well I'd rather play violin and she was fine with that, (laughing) especially since you could do it in public school, so that's how I started. At the same time, my parents are very devout Christians, so I grew up in the Baptist church from the time they could take me there. Because of that I was always around music growing up, singing and whatever, so at the same time that I started taking violin lessons I was asked to be in a boys choir, which was really cool because the people in the school system went around and had all the boys in the 3rd grade sing and evidently I could match pitch well enough that they decided they could work with me, (laughing) so I spent 5 years in a Rotary boys choir. That was really great training. Bronson: Do you remember your first gig you did where you actually got paid? Craig Duncan: I started playing electric bass when I was about 13 and those were my first, you know, played some jazz gigs, some Motown, and rock. I don't remember my first gig, probably sometime in high school. Bronson: You also have books you've written? Craig Duncan: I started writing for Mel Bay Publications, that was a very fortunate thing, back when I was working the Opryland Theme Park in my early 20's. I had just graduated from college studying violin and of course playing fiddle all the way through to make my living so I already basically had a book in my head that I was teaching out of, so when I got that opportunity I wrote that book which became Deluxe Fiddling Method and that gave me the opportunity to write more and more. In fact the last book I wrote for them I turned in 3 or 4 months ago. Bronson: You have a lot of different bands, a lot of bands in different genres that you work with? Craig Duncan: That came out of just the love of music of music that I have. I played violin first, I didn't have private lessons until I went to college. I grew up listening in NC to everything, to black music, to Christian hymns, to Motown, to Steppenwolf, to hillbilly music, to everything. I love it all. When I was working at the Opryland Theme Park, the Opryland Hotel was built and that opened up a whole door. In those days if there was a meeting they had live entertainment, any kind of reception they either had a solo piano player, or a fiddle banjo duo, or some kind of trio, or they'd have a show, or they'd have a band, so I got into contracting all kinds of styles because I like all the different kinds of music. Out of that grew the Craig Duncan Orchestra, the bluegrass band, the country band, the jazz band, all the different things that I do, string quartets, just because I took the attitude in Nashville there's so many great players in so many genres, if you find a gig you can find the players to fill it. So that's how that came about (laughing). Bronson: So how many instruments do you play? 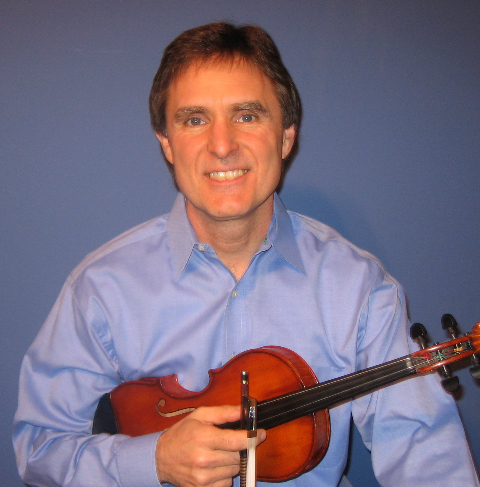 Craig Duncan: Professionally I play violin/fiddle, viola. I play mandolin, I play hammer dulcimer, those are my main recording instruments. I play electric bass on a lot of gigs, I play electric guitar and acoustic guitar, rhythm guitar, I play some lap dulcimer, some autoharp. I play enough keyboard to get myself in trouble. Bronson: So out of all these different genres that you work out of, is there any one that's your favorite? Craig Duncan: That's a hard question, I really like playing a lot of different kinds of music. I tell you in general I really enjoy roots music. I like bluegrass, I like playing celtic music, the older rock n roll stuff, the Motown stuff, I love western swing. Almost anything that has a fiddle in it. I just had the opportunity to do a Greek gig so I did a lot of research and got a bunch of Greek music together. I've been playing with a fella from the country of Columbia, playing romantic Latin music. In fact the last two books I wrote for Mel Bay are Latin violin solos, so I just like all kinds of music. Bronson: You have any advice for musicians wanting to get established and get their name out there in Nashville? Craig Duncan: You have to constantly keep an eye out and go, what do I do that either fits this thing or where can I create a need for what I do. Society's changing. When I started booking all these bands every convention had lots and lots of entertainment, but that doesn't happen anymore so even myself, I'm goin' okay, what do I do differently today to keep it going. Figure out what you do, do it well, and network. Craig Duncan: I love both. There's a different kind of energy from both. When you're playing live, okay there's different kinds of playing live. Most of the playing that I do live is entertaining people so I do my best to entertain, which is a different mind set then how hot a player can I be. Sometimes it's how hot a lick I can do but most of the time it's, you know, pulling the right song, the right tune. Playing in the studio is a whole different thing, it's like focus on your instrument, and I'm also big picture guy, which is why it's fun for me to produce because I get to arrange and I get to do all kinds of things, you know, put the big picture together. Bronson: You have any shows coming up you want people to know about? Craig Duncan: The Craig Duncan Orchestra will be playing the 13th and 14th of February, we'd love to have people come out and join us on the General Jackson show boat. We're playing the Valentines Day cruises, Saturday night and Sunday night. It's an evening of beautiful music and a wonderful dinner and dancing. It's not an after dinner show, it's just good music and dancing and we really gear it that way with a lot of variety of music. We'll play everything from swing to show tunes, pretty stuff for dinner to oldies and what you'd expect to really get out and boogie a little bit for dance. We're also going to be playing the Swan Ball in May.